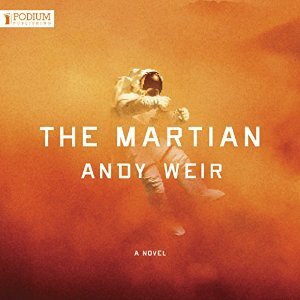 If you listened to The Martian by Andy Weir, narrated by R.C. Bray and you didn't like it, WE CAN NO LONGER BE FRIENDS. I really should just leave it at that. Fine, so here's more. Mark Watney is the only member of a crew who survived a devastating dust storm on Mars after being the first man to walk on the red planet. His commander and the rest of the crew "confirmed" he had died and without risking more lives to secure his body and bring him back, they make the heart-wrenching decision to leave him. The only problem is that Watney did survive, and somehow he's got to figure out how to stay alive until rescue comes. And in the meantime, he should probably figure out how to communicate with them also so that they know he actually did make it through the dust storm. When I write "meantime," I should clarify that I'm speaking in days.... as in hundreds of days. Somehow, in those hundreds of days, Mark Watney has to keep his air supply going, feed himself, keep his electronics up to par, maintain his humor, and generally just NOT DIE. Through intelligence, training, dedication, and absolute extreme humor, Mark Watney is one of the most engaging characters to get to know. With his journal and video logs, combined with life on earth responses and characters who ranged from the tight-assed (but completely understandable) PR specialist and the brilliant but relaxed research scientists, the audiobook version was a winner in every way. While there were more than enough moments that had me cracking up, the successful balance of scenes that made me hold my breath wondering if Watney would make it out of this one continued and I refused every excuse to take a break from listening. I'm sure this has been written already somewhere by someone much smarter than me, but this was Apollo 13 on Mars, and DAMN IT WAS AWESOME. 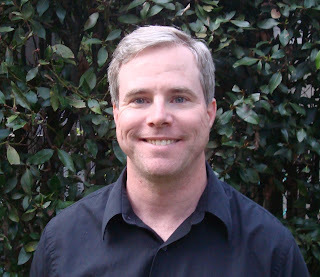 It's going to be a movie and Matt Damon will play Mark Watney. I think he's a PERFECT choice, along with the rest of the cast. I just hope and pray they stay true to the book's humor and sincerity. The story is fantastic, R.C. Bray as the audiobook narrator is incredible, and the author rocked it. Matt Damon, there's a lot riding on your shoulders, my man. I'm pulling for you. FTC Disclosure: I downloaded this audiobook via my Audible.com membership. A friend of mine lent me the print version of this when it first came out and it is lingering on my nightstand. I can't figure out why I'm not compelled to pick it up. I read this in print first and then listened to the audiobook. I would reread the print version again in a heartbeat. I absolutely love this story. I am so worried the movie is not going to live up to the book. Mark is so awesome, Matt better not mess with that! I read the print version and loved it. I'm sure the audio version would be even better. I cannot wait for the movie but like you, I am really hoping they stay true to the book and to Mark's personality. Pheww! I LOVED the audio, so we can definitely be friends!! I'm so pleased that you enjoyed this one as much as I did! The trailers I've seen don't really show the humorous side of the book. I wonder if they left that aspect out. It's directed by Ridley Scott so I expect it to be a little dark. I have this one on my wishlist. I'm hoping to get to it soon.